In honor of Black History Month, the PTO will host special guests at our February meeting that center on the My Brother’s Keeper initiative. My Brother’s Keeper is a federal and state program focused on closing and eliminating the opportunity gaps faced by boys and young men of color so that all young people have the chance to reach their full potential. 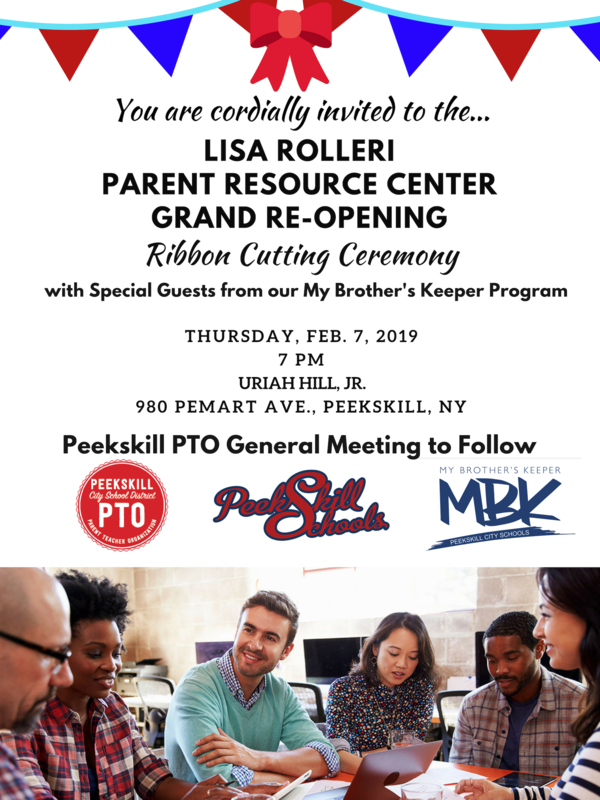 Come learn more about how My Brother’s Keeper is being implemented here in Peekskill. This meeting will be held at Uriah Hill Elementary and is open to all district parents and staff.